Journe­y of a family where three have fallen prey to an unforg­iving pandem­ic. KARACHI: A mother foresees the future of her child and tears curl up in the corner of her eyes as fear, regret and guilt take over. “He cries all night because his feet hurt. His walk has become wobbly,” weeps Muslimah, looking at a boy wearing brown shalwar kameez, tightly held by his elder siblings as he struggles to walk barefoot across the room. Her son is just two and a half years old and she knows exactly how his life is going to end up. She knows he will grow up to be a cripple, to be ridiculed by others. She sees no prospect of education or career for him. She knows they’ll be lucky if he winds up as a truck broker, earning a few bucks at best. By predisposition of his disease, just like his father, Musharraf is ill-fated and damned. In a home where polio was already testing Muslimah’s patience after spending a lifetime with her crippled husband Usman and a relative, her son also fell prey to the merciless virus. Young Musharraf is Karachi’s first polio victim in 14 months and comes from a family which already has two polio victims living under the same roof — Musharraf’s father and his uncle. “I have a polio-stricken husband, and now I would have to raise such a child. I have left everything to God,” Muslimah says in a submissive, almost defeatist tone, wiping tears with her black chaadar. Musharraf’s three elder siblings were all administered anti-polio drops but when his turn came, the dosage was stopped midway by his father, who himself suffers from polio. “We came to know about Dr Shakil Afridi’s alliance with the Americans,” said the father, referring to the doctor’s alleged fake immunisation campaign which led to the capture of Osama bin Laden in 2011. “We thought that the polio campaign was being run by the Jews and Americans, so I wouldn’t let anyone give drops to my child,” said the crippled man, with face lines that showed just how deep and unforgiving his regret was. After his son was diagnosed with carrying the virus, Usman asked the doctors to give him the drops, but it was too late. The fair-skinned, brown-haired toddler remains polio affected. Usman and his family live in a bare-bricked building in an impoverished area swarmed with garbage and sewage in Railway Colony of Bin Qasim town. While the men were out at work Sunday, the women, in broken Urdu, narrated stories of the house plagued by polio. On a charpoy sits wrinkled-faced Shamim, the boy’s grandmother. “When Usman was born in the 1980s, there was no concept of polio campaign in our village,” she says referring to their hometown of Bisham, Shangla. The grief-struck family claims Musharraf contracted the virus when he went out with his father to the market a few days ago. His fever and the slight crippling feet alarmed the family, and soon doctors broke the devastating news. This is a family where men did not go to school and where women are not allowed to stir abroad. “We women live like animals because we are not allowed to educate ourselves and work. And if our men keep becoming crippled, how will the family survive?” asks Shamim. As the mother struggles to come to terms with a life she thinks will be wasted, Musharaf’s father sits and stares into abyss – wondering how things would have been different had they administered the drops to their youngest son. Lahore government, and indeed federal and every other city government, has to ensure that vaccinations reach children. ‘Parents must be told about the threat of disability that polio poses’. Karachi’s 14-month polio-free status comes to an end with first polio case of 2013. 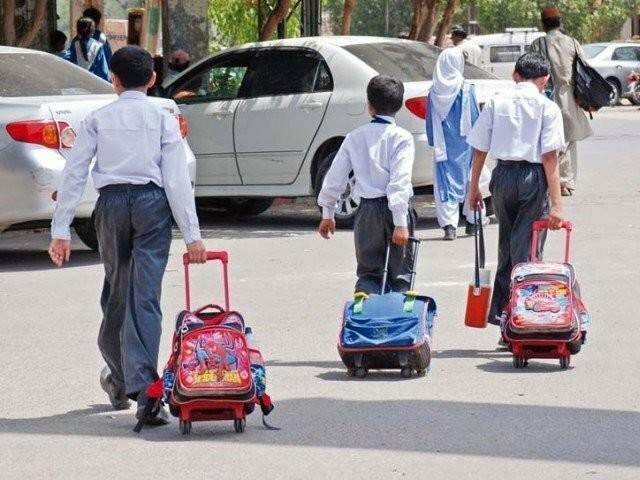 The three-day drive, targeting 60,000 children in the high-risk areas of Islamabad, concluded on Thursday. Really sad. I feel sorry for the little boy and his father. Knowing that your one bad decision crippled your son is unthinkable burden. The fathers blind hatred for “The Jews” made him blind the reason as is the case with much of the muslim world. They say hatred is like a burning piece of coal. If you hold it in your had with an intention of throwing it at some one, it is going to burn you first. I had polio and if the parents exercise the affected limbs as much as possible the effects will be minimized. There is a movie of a nun that fought the medical field on her cure for polio. Teach the child to be as positive as possible. Good lick. there is no collective guilt trip here. 99% of Pakistanis and 90% of mullahs believe in polio vaccination. The country and the world is being held ransom to a tiny tiny minority. Trying to purge it through a collective guilt trip is futile it’s not the way forward. Hard to have sympathy for people who deny polio immunization to their children – I do have sympathy for the kids who are the real victims. Maybe Pakistan should start tossing the parents in jail – it’s called child abuse in the rest of the world. When the society comprising “99% of Pakistanis and 90% of mullahs” remains silent spectators without active i repeat active protest be it wrong ideology or perception , the responsibility & guilt becomes collective. . Putting responsibility / blame on “the tiny radical minority” or the government is escapism. Please ponder on it.